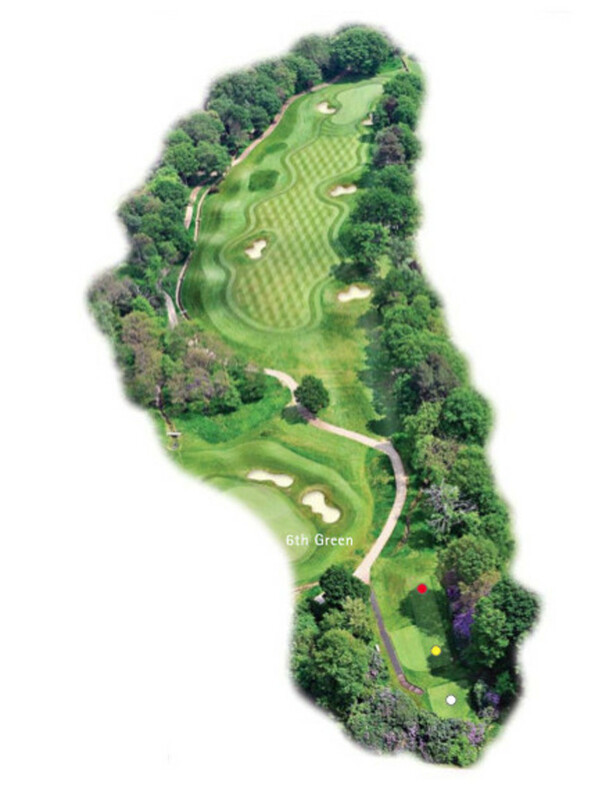 7 :: Coombe Hill Golf Club welcomes visitors from all over the world to enjoy in the delight of meeting the challenges of one of Englandâ��s most highly rated and traditional courses. The left hand of the fairway is the desired result from this tee shot. A great driving hole with three target areas on the left half at different lengths of the tee! The approach into this green must be hit with control if you want to stay on the putting surface of this raised green. Beware that shots to the left side of the green tend to run left into the bunker.